Raquel Gottsch makes a new friend. Below is a personal note from RFD-TV Magazine Editor and EVP of Rural Media Group, Raquel Gottsch. perhaps it’s a woman in agriculture…a FarmHer. our newest television series, "FarmHer"—a show dedicated to shining a light on the women in agriculture. What started out as something I was truly passionate about (after all, I am a woman in agriculture) has turned into a personal mission. I want to help change the image of agriculture to include more woman and use my family’s platform, RFD-TV, to do so. 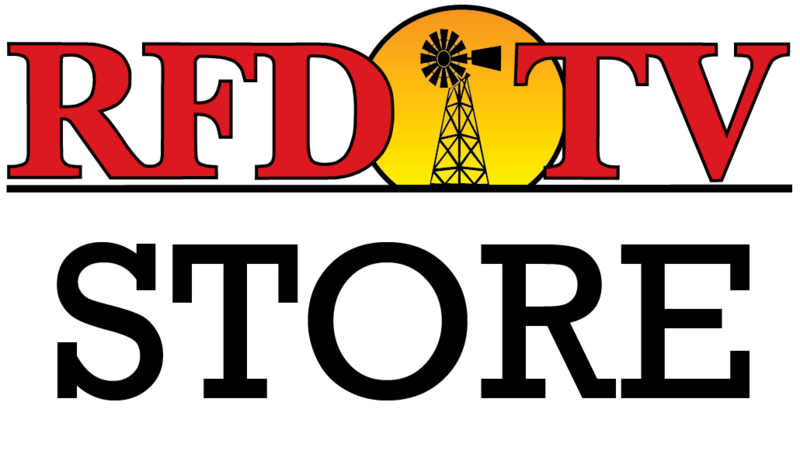 This is why RFD-TV was launched, to serve the needs and interests of rural America. My father simply thought that if no other television executives would do it on their networks, he would. And I am taking this same attitude and applying it to our new relationship with FarmHer. Through "FarmHer", I have become great friends with its founder and host, Marji. Together, with our talented crew, we have traveled to many states including Colorado, California, Florida, Texas, Nebraska, Iowa, Minnesota, North Carolina, Indiana, North Dakota, and South Dakota. And that’s just the start. We have filmed some of the most inspiring and amazing women I have ever had the pleasure of meeting. From women who grew up in farming, married a farmer and today are running the family farm, to women who have had no experience living on a farm but have decided they want to be a FarmHer, bought some land and through lots of reading, networking and persistence have started their own legacy – some working a 9-5 job still and farming at night. From small farm to large farm, we cover it all. And then there are FarmHers who chose to not work on a farm or ranch, but instead contribute to agriculture through their role in corporate America. In the end, our mission is to capture these women in a positive light and share their passion for loving the land, caring for the community, and feeding the people. Women are great communicators and through this show, it is my hope that we will not only update the image of agriculture to include females, but we will also be able to reconnect city with country, the other mission of RFD-TV. wait to get home and start digging in the dirt…that’s how much these women inspire me. “FarmHer” premieres Friday, September 9th at 9:30 p.m. EST (encore Saturday 11 a.m. and Sunday at 9:30 p.m. EST) and continues each Friday night through the fall season.